We are Frans and Eveline. We live in Breda, the Netherlands. We love to travel by bicycle. We have been together for many years and among other things traveling has always been a favorite pastime during our holidays. After having explored Europe in our little Renault 4s in the 70-ties, including the countries behind the iron curtain, we made many mountain trekkings in 4 continents. We wandered in the Alps and Pyrenees, were on top of Kilimanjaro, hiked in Himalaya and Andes. At the beginning of this century we took to the bike. 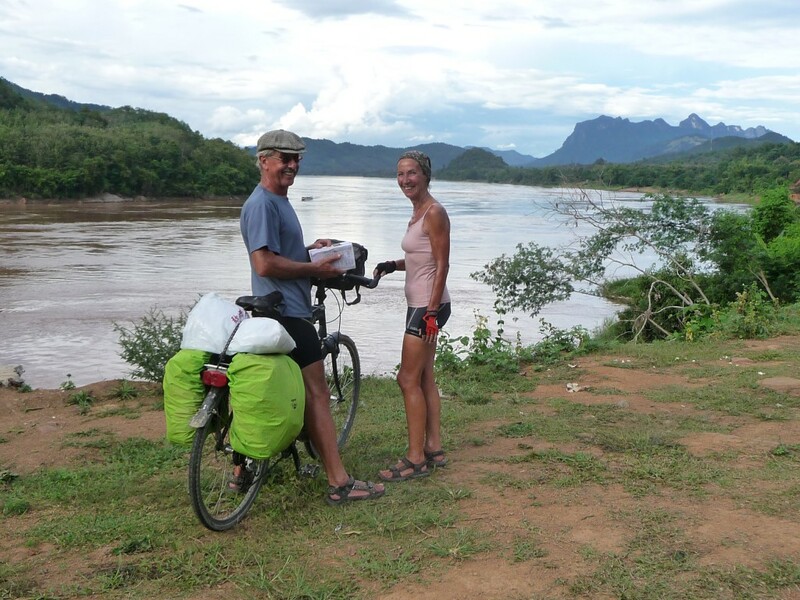 Since then we have cycled in Europe, Africa, Asia, South America and Australia. Frans is retired after a lifetime in education, Eveline stopped working in 2012 after a 47-year career in health care and welfare. So there’s lots of time to ride our bikes and in doing so explore the world and meet people. In 2011 we had planned to ride from Breda to Istanbul, as the first stage of a round-the-world-cycle-tour. To our regret this went very wrong. We left in July and in mid-September we were in a little village in Greece, some 600 kms from Istanbul. There Eveline was struck by a car and she had to be taken to hospital by ambulance. Her left arm appeared to be very badly broken. But, much worse, the scans also showed that she had lung cancer. To make a long story short, in the summer of 2012, after a series of surgeries, radiations and chemo-treatments, we could leave all this behind us. We made new plans. After that we have made long tours again in Australia, Thailand, Malaysia, Singapore, Poland and Germany. In 2015 we went back to the place of the accident in Greece and continued through Turkey to Tbilisi in Georgia. In 2016 we rode from Tbilisi via Armenia into Iran as far as Shiraz, from January up to March 2017 we toured through Cuba. Our last long tour was a combination of one month Japan and one month South-Korea, early 2018. If you’d like to follow us during our journeys, just click in the buttons bar above (or do it here) on English blog or just browse through the photos. Along the Mekong near Luang Prabang, Laos.